CND are releasing three Spring and Summer collections, Playland (Creative Play), New Wave, and Rhythm & Heat. Intense color in fun finishes to express yourself this spring! The collection consists of 8 new shades, which are available in VINYLUX Weekly Polish. 6 of the shades are also available in the SHELLAC line (denoted with * below). CND usually do some gorgeous deep shades; I actually have several of the VINYLUX polishes untried in my stash (not to mention loads of their older polishes, too!). 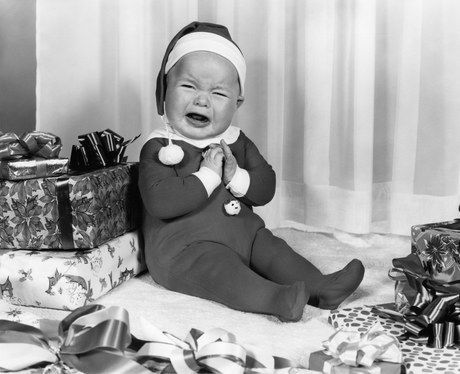 Note to self: swatch those babies! 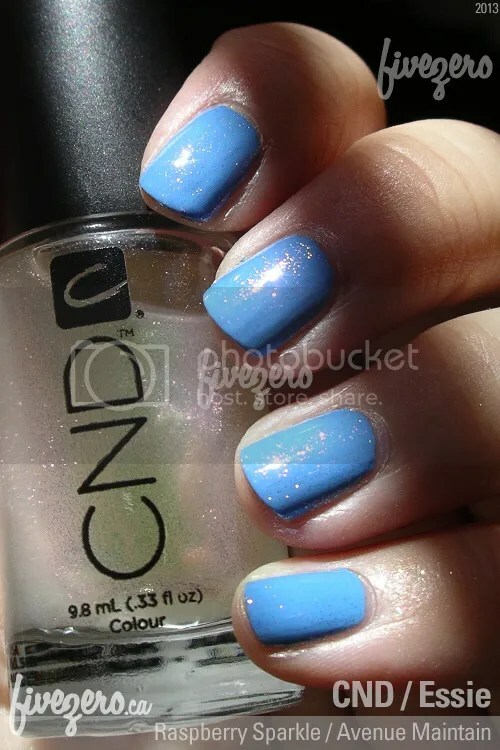 CND VINYLUX Weekly Polish retails for about US$10 / CA$12 and contains 0.5 fl oz / 15 mL. The formula is free of toluene, phthalates (DBP), formaldehyde, formaldehyde resin, camphor, xylene and methyl ethyl ketone (MEK). 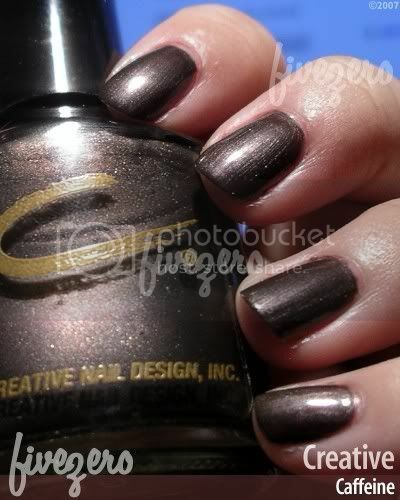 CND remain Creative Nail Design, Inc. Like OPI, CND was born out of the dental industry. Dentist Stuart Nordstrom developed SolarNail Liquid over 30 years ago, and CND has since grown into an international nail products brand. Barcelona, Spain-based Colomer Group, founded in 1934, owns CND; New York, NY, USA-based Revlon acquired Colomer Group in 2013. CND is headquartered in San Diego, CA, USA. These were being cleared out at my local Winners, and a couple of helpful MUAers said they were worth picking up at $3 a pop! I am not usually one for layering polishes, but I’m definitely sold on these. 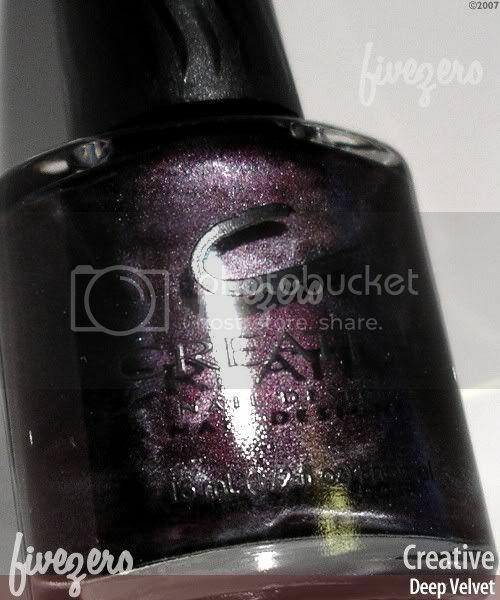 A few years back, CND (formerly Creative Nail Design) discontinued all their old nail polish (boo!) and introduced their new Colors and Effects polishes. The Colors, I believe, are all opaques, and the Effects are different top coats to layer over the Colors. I picked up Raspberry Sparkle and Jade Sparkle, which are sheer, microglittery opalescents that flash pink (Raspberry) or green (Jade). I’m swamped with all kinds of stuff and have a chippy red nail polish on, so here’s a couple pics of my favourite Creatives, instead. Hee hee! Unfortunately, these two are from a discontinued Gotham collection that CND released a few years ago. The only survivors from that collection are Adrenaline and Spike, which are still available and very worth checking out. Raven is a very unique slate teal-blue-grey shimmer. It’s super well-pigmented and a brilliant polish to get your hands on, if you can find it. Rating: 4/5. Caffeine is a cool, deep brown frost with a mauvey-purple tone to it. Not a good colour on me, but it’s kind of a nifty shade. Rating: 3/5. 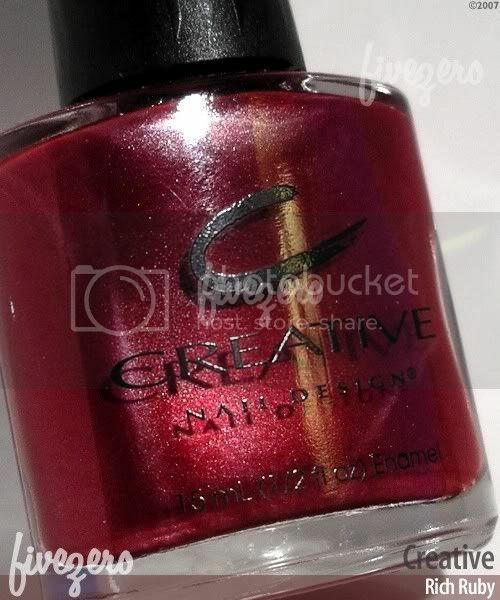 Rich Ruby is the token red shimmer from Creative Nail Design’s 2007 holiday collection, and what a fabulous, eye-popping red it is! 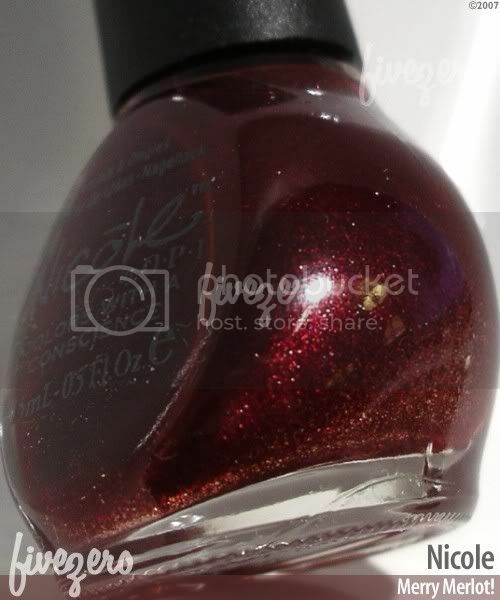 It’s a medium true red with very fine red shimmer and subtle swirls of silver which give it a very slightly cool tone. On the nail, it’s amazingly opaque with just one coat, although I did two, anyway. The satin finish really glows. 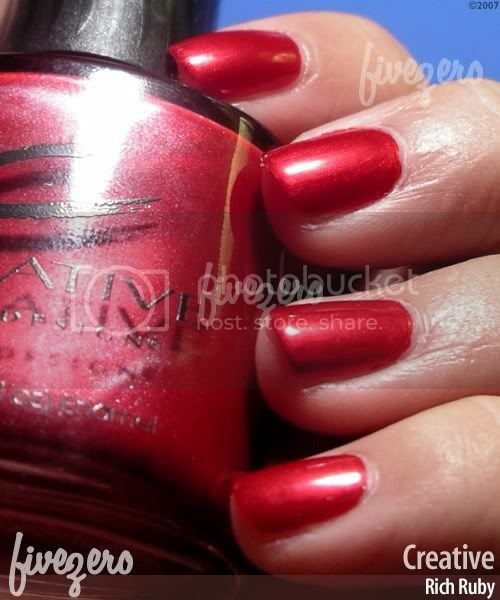 I cannot recommend this enough as a classic red nail polish, and of course, it is also perfect for holiday parties! Rating: 5/5.